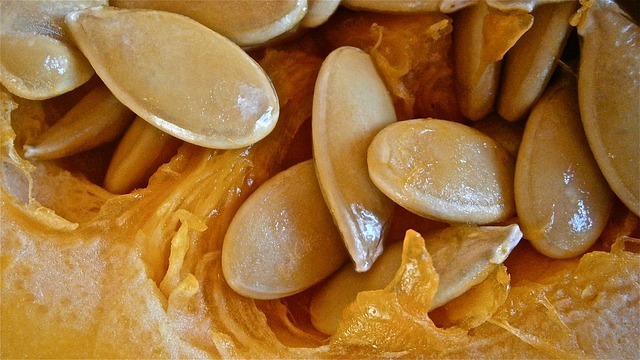 Home » Blog » Best Health Benefits of Pumpkin Seeds You Will Read This Year! Many people are familiar with pumpkin seeds as a tasty Halloween treat. In North America, pumpkins are especially common in the fall and after carving out jack-o-lanterns or even harvesting squash and pumpkins for soups and stews, pumpkin seeds are often enjoyed as a crunchy snack. However, aside from being delicious to eat as something tasty to munch on, pumpkin seeds also have many health benefits when consumed regularly. So while it’s a great idea to save the seeds whenever you buy a pumpkin – and to make the effort to buy the pumpkin whole instead of pumpkin in a can so that you can have the seeds – it’s also a great idea to add more pumpkin seeds to your diet. You can find pumpkin seed and pumpkin seed products in your local natural food store, or even grocery stores, as well as any store that sells nuts and seeds in bulk. It is generally recommended to buy organic varieties to avoid genetically modified organisms (GMO’s) and the risks of pesticides that come with non-organic foods, in order to maximize the health benefits, as organic foods are higher in nutrient and do not contain as many toxic chemicals from pesticide use and non-organic farming practices. Pumpkin seeds are composed of protein, lipids (fats), carbohydrates, fiber and a bit of water. The calorie count for 1 cup of pumpkin seeds is approximately 285 calories of energy. As it is the case with most nuts and seeds, pumpkin seeds are rich in nutrients and minerals and are an excellent source of protein frequently relied upon by vegetarians and vegans in order to get some healthy fats and lean protein in your diet. Pumpkin seeds are particularly high in Calcium, Iron, Magnesium, Phosphorous, Potassium, Sodium, and Zinc. As for vitamins, pumpkin seeds are high in Vitamin C, Folate and Vitamin A. Pumpkin seeds contain healthy fats including omega oils and contain no cholesterol to worry about! 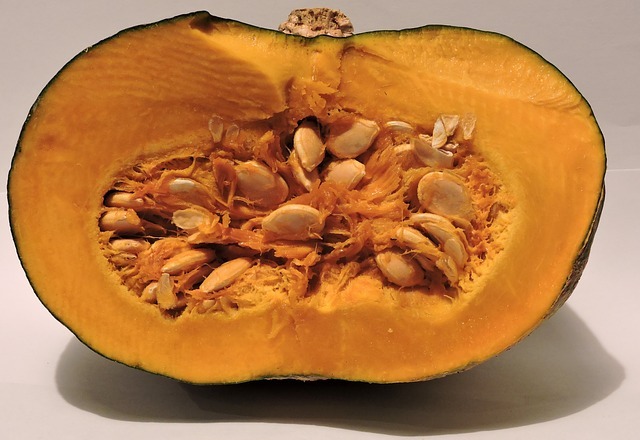 In Native American medicine, pumpkin seeds were relied upon to treat kidney, bladder and digestive problems. It is believed that their anti-inflammatory properties are partly the reason why they are so helpful for these conditions. In early colonial medicine they were also used to treat parasites, and since then have also been used for other conditions such as enlarged prostate. Pumpkin seeds have been linked to the health of skin, hair, and nails, and in particular, have also been linked to improved outcomes in health growth for men in some studies. Pumpkin seeds health benefits for skin include cell regeneration, protecting the body from pollutants and increasing sebum production, and stimulating hair growth. Zinc, vitamin A, and selenium are all nutrients that contribute to these health benefits, and omega-3 fatty acids are particularly important for skin health, especially when consumed regularly. Pumpkin seeds also contain vitamin E, which is excellent for skin health and the main vitamin for healthy skin and smooth skin tone. By stimulating and maintain sebum production, pumpkin seeds also help the body protect itself from the harmful effects of excessive UV rays on the skin from sun exposure. These nutrients and vitamins also help the strength of the skin on the scalp, which is helpful not only for stimulating hair growth but also for reducing hair loss and keeping hair stronger and healthier overall. While no food can itself boost anyone’s ability to lose weight beyond their overall balance between diet and exercise, there are some foods that can contribute to burning unhealthy fats and balance with healthy fats. Pumpkin seeds are among these foods, because it gives the body the healthy omega fats that the body needs to burn, and lets the body burn some of the most harmful fats stored up in the muscles and tissues. By integrating pumpkin seeds as a snacking alternative, one is less likely to turn to unhealthy snacks containing high sodium, high sugar, high saturated fats and other harmful substances. Avoiding processed foods and supplementing with healthy snacks such as pumpkin seeds is already a step in the right direction towards weight loss. Another reason why people have a hard time shedding weight is often a lack of protein. When the body lacks protein, hunger will often turn into sugar and starch cravings, leading to improper snacking. By choosing healthier and leaner sources of protein and nutrients, one can rely on pumpkin seeds to support a healthy weight loss plan that is achieved through diet and nutrition rather than unhealthy dieting. Pumpkin seeds are high in calorie count however because they are so packed with nutrients, they can also cut down on hunger as the body becomes satiated from obtaining the nutrients that it needs to be energized through the day. Pumpkin seeds have many other health benefits, such as fighting depression, as they contain L-tryptophan, a substance known to help in reducing the effects of depression. Pumpkin seeds also reduce cholesterol levels in the body. While the seeds do not contain any cholesterol themselves, they contain phytosterols which will reduce cholesterol in your body. There are many ways to incorporate pumpkin seeds into your diet beyond simply roasting them as a treat. Yes, you can eat them raw or as part of a mix of nuts and seeds, you can also add them to your cereal or into a stir-fry, and you can even grind them up as part of a topping with some spices for extra flavor. Pumpkin seeds can also be ground up and added to a salad dressing, or mixed with almonds with fruits or yogurt as part of a snack or breakfast, or even in your dessert for a healthy alternative. Some other great ways to incorporate pumpkin seed health benefits into your diet is by using either pumpkin seed oil or pumpkin seed butter. Pumpkin seed oil was rare only a decade ago, but is becoming more and more readily available on the market. It is now possible to find it in natural food stores, or even in the health food section of your local grocery store. Pumpkin seed oil is somewhat bitter and is not usually used on its own, nor is it ideal for cooking oil. Its primary use is in salad dressing, in order to add omegas and other nutrients to your diet. It can be combined with other oils or simply with lemon or vinegar for a very simple dressing. Some may choose to add a gentle sweetener such as maple syrup or agave syrup to the dressing to offset the bitter taste of pumpkin seed oil. Pumpkin seed butter is also a great way to add a good amount of pumpkin seeds to your daily diet. It can replace peanut butter as a spread or be used as part of home-made granola. While pumpkin seed butter was more difficult to find commercially, it is more readily available in grocery stores now from a variety of brands. However, it is also relatively easy to make from home using pumpkin seeds in the blender. 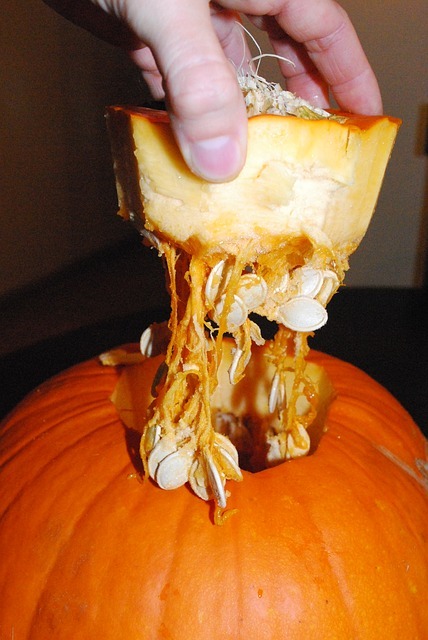 Pumpkin seeds, like other seeds, can cause allergies for some people. While it is not a common allergen like peanuts or almonds, it’s always a safe practice to check with other before bringing them in to work, or letting your children bring them into school. Find out if there is a policy regarding nuts as seeds, in order to be considerate of anyone who might suffer from an allergy to seeds, or pumpkin seeds in particular. While there are no significant safety issues or health concerns in consuming pumpkin seeds, it is important to chew them properly in order to avoid any seeds or partially chewed bits of seeds to become lodged in the throat during swallowing. Another thing to keep in mind when adding nuts and seeds to your diet is to balance weight loss efforts with choosing the right foods. While adding nuts and seeds to your nutritional plan in order to increase lean proteins, one should use moderation in order to avoid adding too much fat – even healthy fats – and choosing a variety of foods to have a healthy diet.